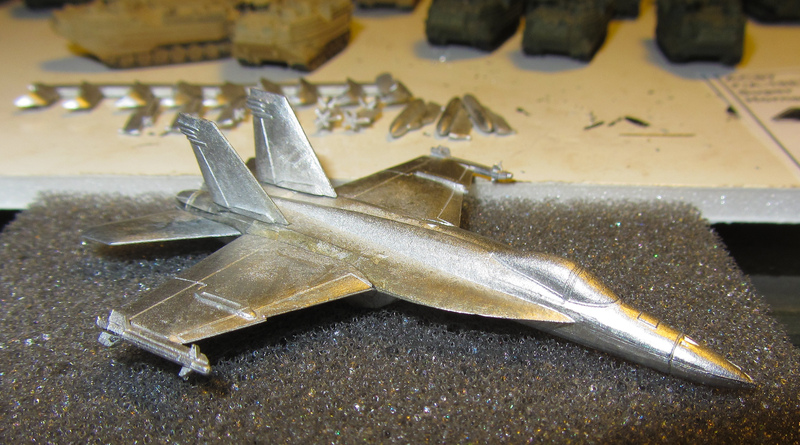 I just got my F-18s today and I’m putting together the first one right now. This is a really nice model and I’m totally stoked to add it to my collection. Like any model though, it’s not perfect. There is one issue that caught my attention right away and it’s the fitting of the right wing. 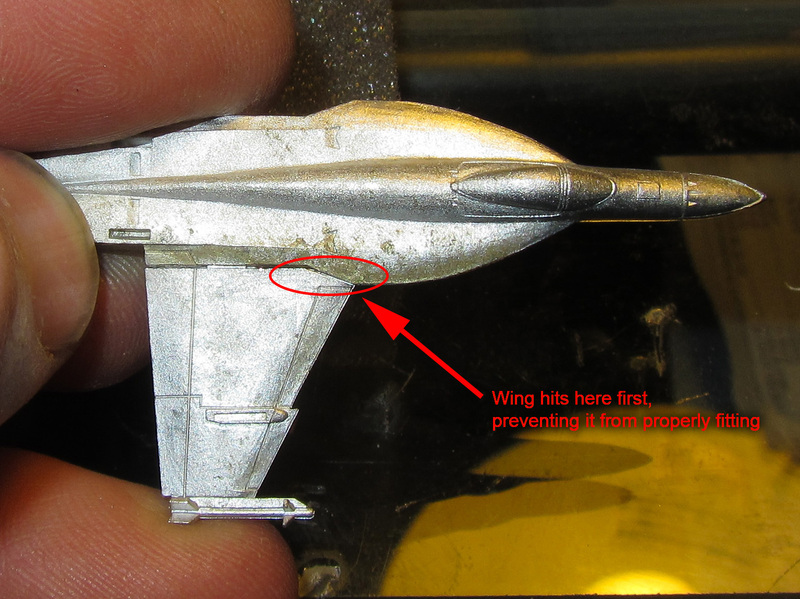 There is an angled portion near the leading edge that makes contact with the fuselage a bit early, therefore not allowing the wing to properly be fitted without leaving a gap between the fuselage and the wing root. 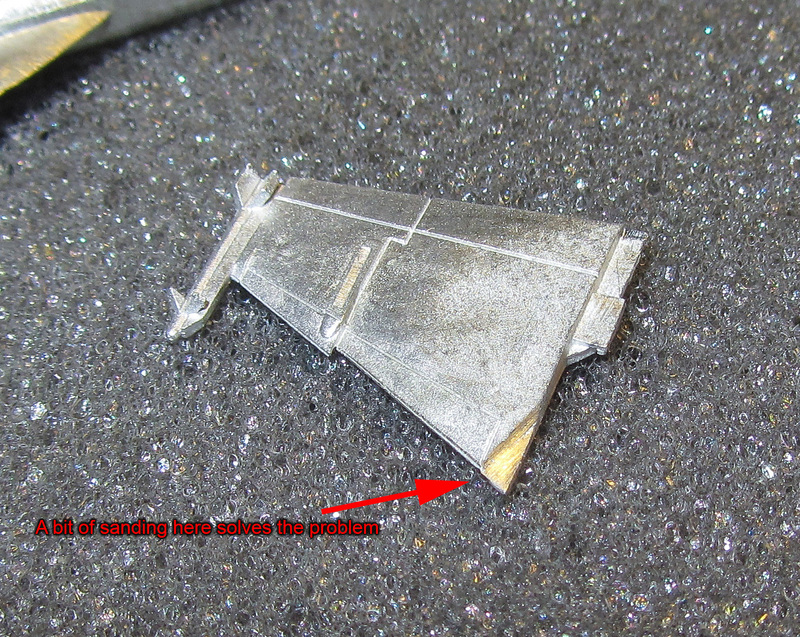 This is very easily fixed with a bit of sanding or filing on that angled area as shown below. 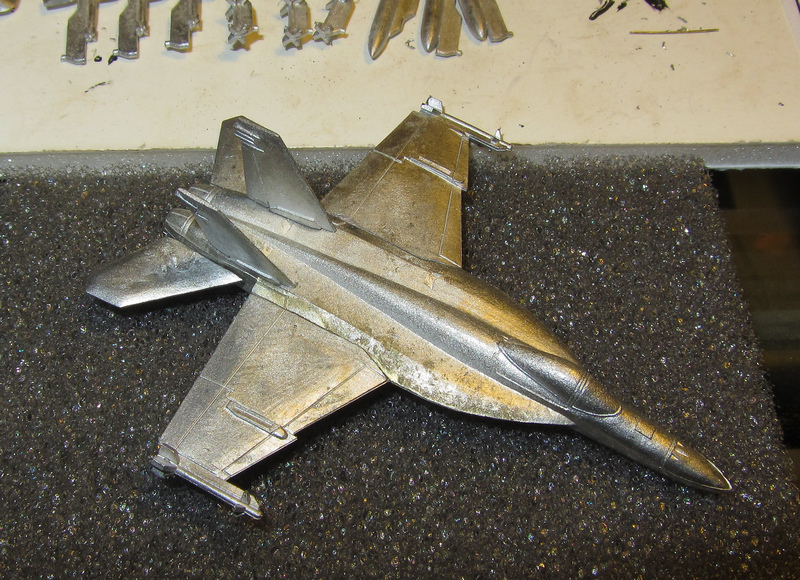 This entry was posted in US Aircraft and tagged F-18, F/A-18, GHQ, Hornet, Super Hornet by Allen. Bookmark the permalink.